Kundadri is a hill (826 mt) with dense forests in the Western Ghats located in Shimoga District Karnataka State, India.It is 70 km from Udupi city. This hill is known for 17th century Jain temple dedicated to Thirthankara and the place is known to have given shelter to one Acharya Kundakunda during earlier centuries.The main deity of this temple is Parshwanatha, 23rd tirthankar. 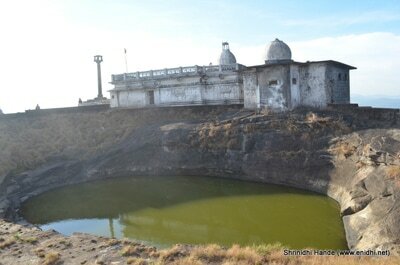 Two small ponds formed by the rock on one side of this temple provided water to earlier sages. Government of Karnataka joined hands with a philanthropist from Mumbai to construct an all-weather road to the top of the hill. 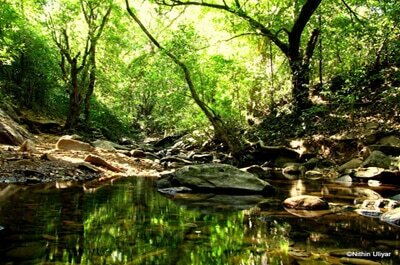 The Kudremukha National Park is named after the Kudremukh or the Horse Face Range, which is the site of the park. The park is situated in the Chikmagalur District of western Karnataka that lies near the Agumbe region of the Western Ghats. 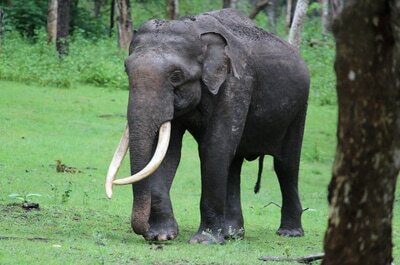 This park has recently been declared as a tiger reserve and is part of the Bhadra Tiger Sanctuary. 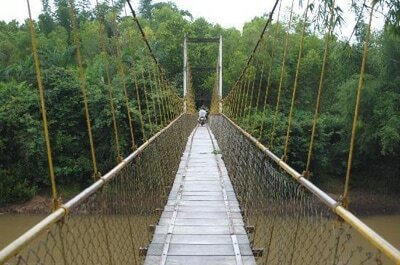 The sanctuary has 13 trekking routes that serve as an entry point to the forest reserve. The park is the originating point for rivers like Tunga, Bhadra and Nethravathi and has the Kadambi Waterfalls and Hanuman Gundi Waterfalls. This sanctuary is home to animals like leopard, sloth bear, gaur, spotted deer, mongoose, jackal, wild dog and lion tailed macaque. Langur, barking deer, Malabar giant squirrel and porcupine are some of the other animals in the park. Visitors can also see Malabar trogon, great pied hornbill, Malabar whistling thrush and imperial pigeon. Hariharapura is a village located in the Koppa Taluk, Chikkamagaluru district in the state of Karnataka, India. The place has a Matt(Hindu Temple) of goddess Sharadamba on the banks of the River Tunga. The place is serene amidst forest, Arecanut farms and rice fields and surrounded by small hills. It is believed that Daksha performed "yagna" here.The name of the place is derived by the presence of two temples Hari & Hara located across each other. The four-hundred-year-old Shiva ( Hara ) temple is located upstream on the banks of the River Tunga, about a kilometer away from the Matth. This temple has intricate carvings on three sides depicting the entire Ramayana. Shakatapuram is a religious place for Hindus located in the Koppa taluk of the state of Karnataka, India. 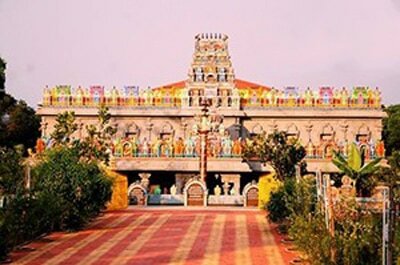 It is located near Sringeri and is situated on the banks of river Tunga. It is famous for a Hindu Math called Shri Vidya Peetam which is present at this place. Shakatapuram is also known by the name Bhandigadi. The Kumbhabhishekam event held at this place attracts a number of devotees.The history of the Shri Vidya Peetam can be traced to a sadhu named Thotakacharya, who was a disciple of Adi Shankara and the first pontiff of the Uttaramnaya Jyotish Peetam, a Hindu institution, located in Badrinath. A sadhu named Sri Satya Theertha who was of the same lineage as Thotakacharya, came to Shakatapuram about six centuries ago and established the Shri Vidya Peetam. An idol of the Hindu God, Lakshmi Narayana was brought by Sri Satya Teertha from Badarinath and installed at Shakatapuram. This is the presiding deity of this place. The Hindu Gods, Krishna, Raja Rajeshwari and Dattatreya are also worshipped here. The Math preaches the Advaita form of Hindu philosophy. Chibbalagudde is calm and lovely place located at a distance of 10 Km from Thirthahalli on the banks of river Tunga. Chibbalagudde is popular because of temple of Sri Siddi Vinayaka and Matsyadhama which has lot of fishes at Tunga River. Chibbalagudde is also nearby place to Kuppalli.